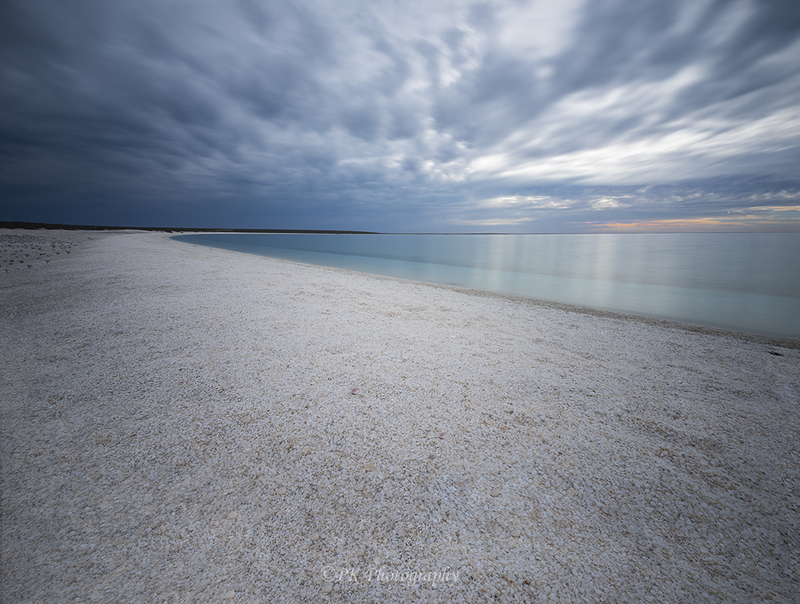 This is another and very different view of an amazing beach, composed entirely of cockle shells, in western Australia. In the prior post, I wrote about how the shells were compacted and how deep they were. I also mentioned that, in the past, the compacted shells were mined in blocks similar to cinder blocks and used for construction. Now, I will add that, while staying in a town near the beach, we had dinner at a small restaurant with walls made of the shell blocks. Because of the shells, the acoustics in the tiny, one-story establishment were tremendous. It would have been a great place for a concert, but then there would have been no room for dining! To see the previous post, click here. Looks great Pam, love the story too.
. . . how were the acoustics on the beach? Thinking back, I think there was a slight acoustic effect from all the shells at the beach. It was also crunchy. I felt bad walking on the shells.
. . . at least they weren’t eggs . . . When I walk on lava near the shore, I always look out for the tiny snails that are normally underwater but remain attached to the lava during low tide. Not many people do and I cringe whenever I hear the sound of a tiny shell breaking. It’s nice you care about the snails, Disperser. It’s easy . . . just think of yourself just sitting there minding your own business when a meteor comes down and wipes out you and half the county around you. You’ll then be more mindful of anthills, bird nests, and even bugs . . . unless, you know, they’re attacking you. Then, the full wrath of humans will be unleashed upon them! Seriously, I’m invading their territory; it doesn’t matter if they’re snails or a beautiful nesting bird. I have to mind my manners. The meteor comparison is a good one, Disperser. I try to be kind to the bugs, but there are a couple that give me the creeps— roaches and silverfish. In the case of those, I have my limits 😊. I have a couple of containers I use to capture bugs within the home so I can relocate them outside . . . but, I too have limits. Very fast bugs and very small bugs are just too much trouble regardless of any compassion I might have . . . I then kill quickly and as mercifully as I can.